We are celebrating 40 years in 2019! 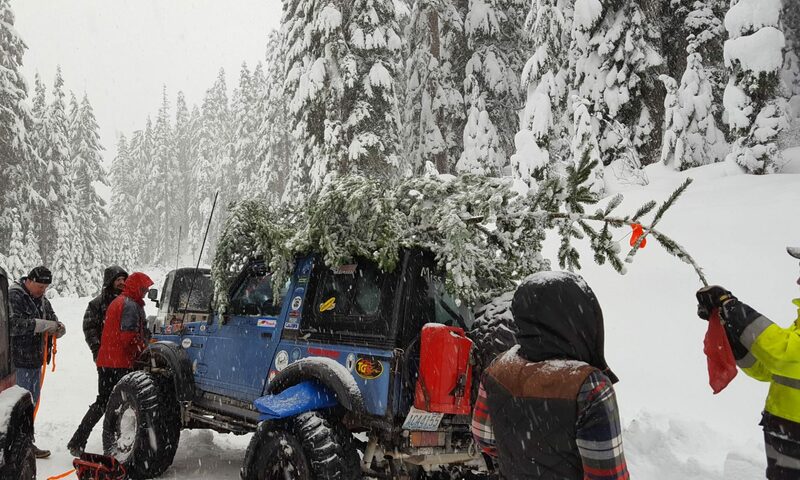 The Timber Tamers are a large general 4wd club based out of Western Washington. We were organized in April of 1979, and are based out of the Lynnwood, Washington area. Our membership is diverse, from young to old, men and women, driving many different types of 4wd vehicles. We are affiliated with the Pacific Northwest 4 Wheel Drive Association and promote TREAD Lightly! principles. The PNW4WDA organizes trail runs, trail maintenance in conjunction with DNR, races, play days, fun days, clean-ups, charitable works, legislative issues, etc., in Washington, Oregon, and Idaho. The Timber Tamers in conjunction with the Rainer Ridge Rams, Pacific Northwest Four Wheel Drive Association, and the Washington State Department of Natural Resources are working to bring you the 3rd annual Reiter Rock Crawl. Click here for more information along with entry forms and rules. Did you know that the Tamers are a non-profit organization? Because of this the Tamers are eligible to participate in the Amazon Smile program. If you make a purchase on Amazon and specify the Tamers as a non-profit that you would like to donate to, then Amazon will donate a small portion of the proceeds from the purchase to the Tamers. If you are interested in helping to support the Tamers please click on the following link to donate via Amazon Smile.